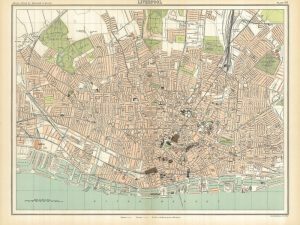 This old map of Liverpool covers a wide area. 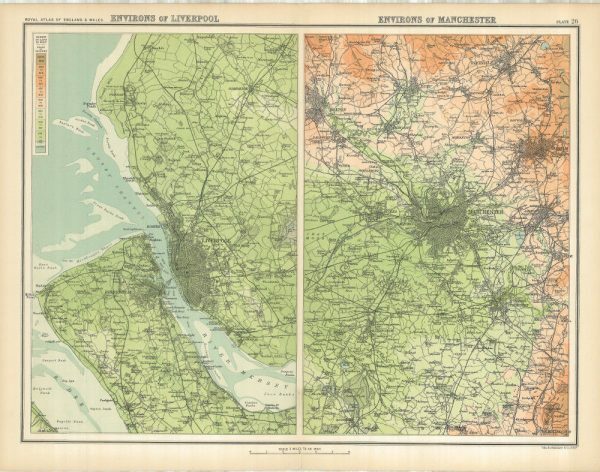 In fact, a second frame attached shows the Environs of Manchester from the same volume, the Royal Atlas of England and Wales. 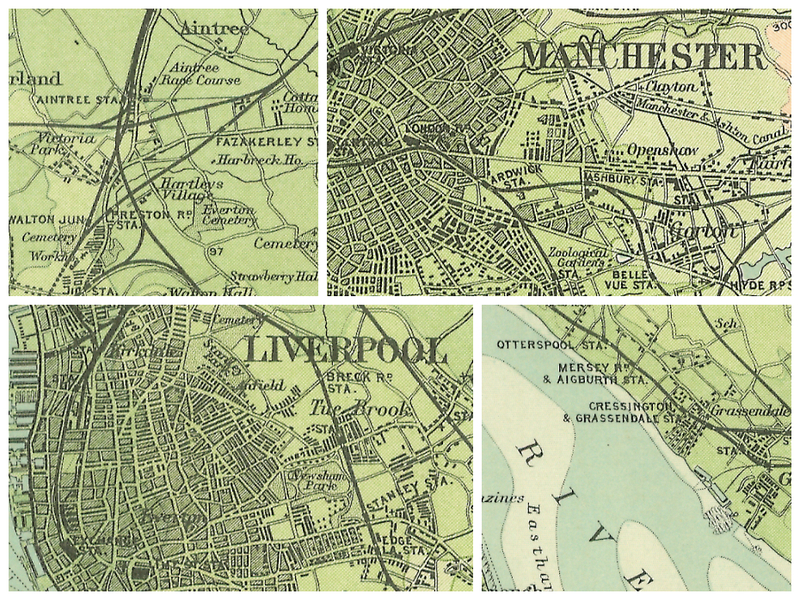 Because of its size and coverage, details are harder to see compared to the two old Plans of Liverpool, the North Sheet and the South Sheet of the Plan of Liverpool from 1890. 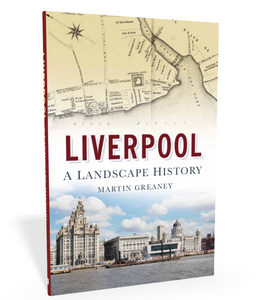 The map is a snapshot of Liverpool history when the suburbs extended as far out as Newsham, Stanley and Sefton Parks. These suburbs are the dense terrace houses which we still live in today, and which are very popular. The very densest areas – including parts of Toxteth, Everton and Kirkdale – are also covered. The most striking features on the map are Liverpool’s railways. The dark lines snake across the green landscape and the stations are a marked and named. It goes a long way to showing how well the railways connected the outlying towns and suburbs of Merseyside! You can also see the ferry routes and the original (rail) Mersey Tunnel. 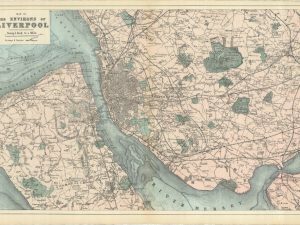 As a tool for researching your Liverpool ancestors, this map is best for getting an overview of the region. If you want to see the shape of the whole city, then this shows it off to best effect. 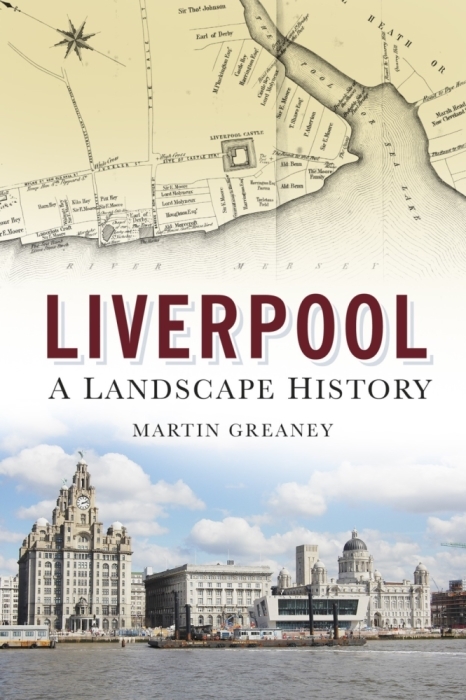 At this scale, you can also see the large estates of Croxteth and Knowsley, and towns like Maghull and Kirkby before they became developed in the 20th century. The print comes to you larger than the original. These scans are so good that no detail is lost in the enlargement! 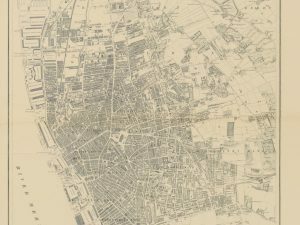 High resolution old map of Liverpool – hugely detailed! 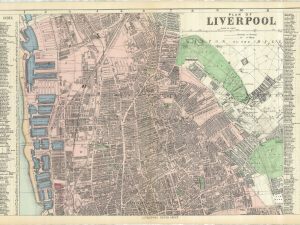 Buy this old map of Liverpool as a gift for a loved one, or to treat yourself. Perfect for hanging in the study, this map is a fascinating piece of history you’ll want to study again and again!